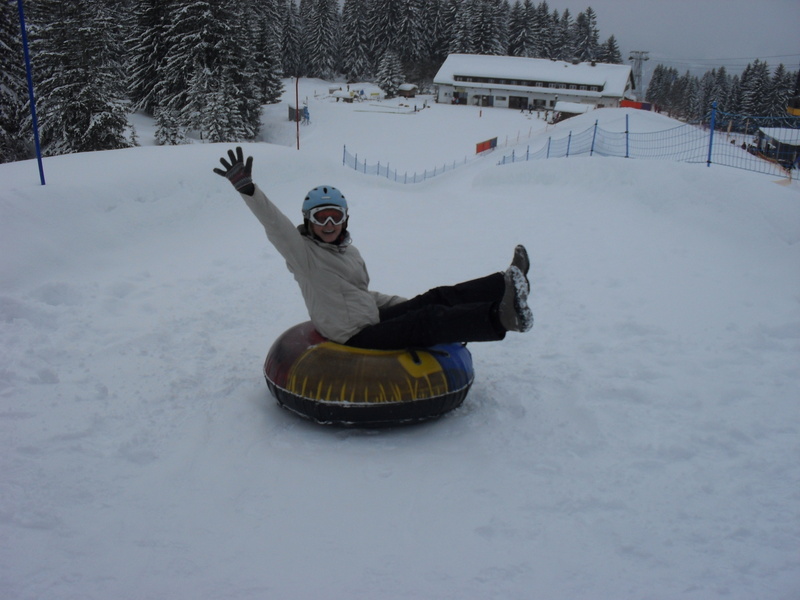 English › Winter holiday › Boundless fun in the snow! 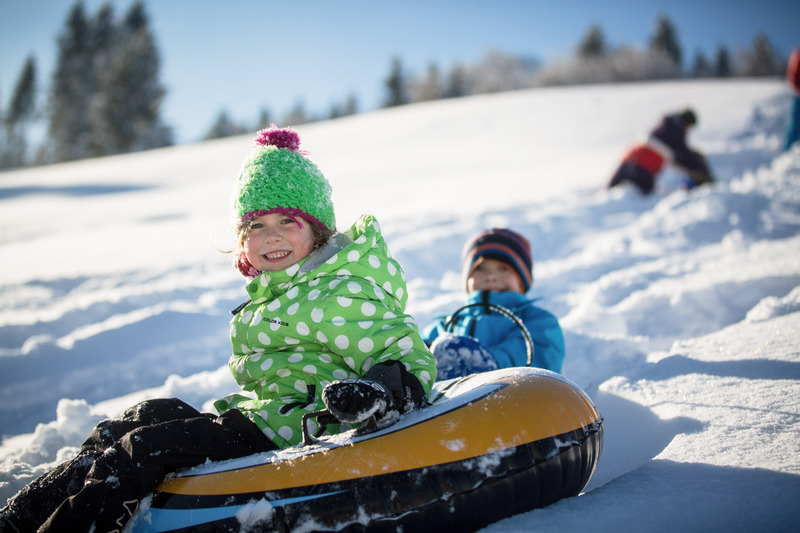 Tobogganing, curling, building an igloo or slide on the snow bike down the slopes. In Oberstdorf on snowy terrain no problem. 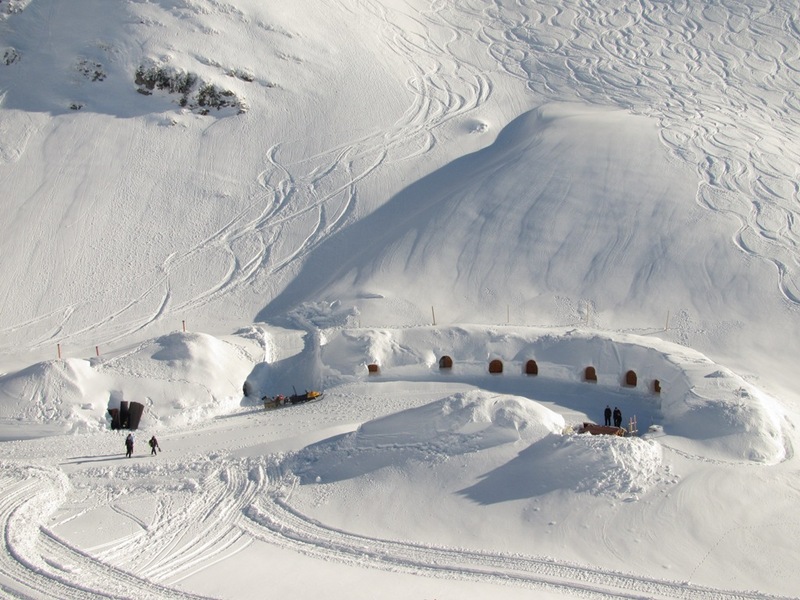 The Allgäu’s coolest hotspot on the Nebelhorn 2,000 m above sea level, 3,000 m³ of frozen water and a whole lot of snow: each of the igloos is an inhabitable sculpture decorated with original reliefs by local Allgäu artists. 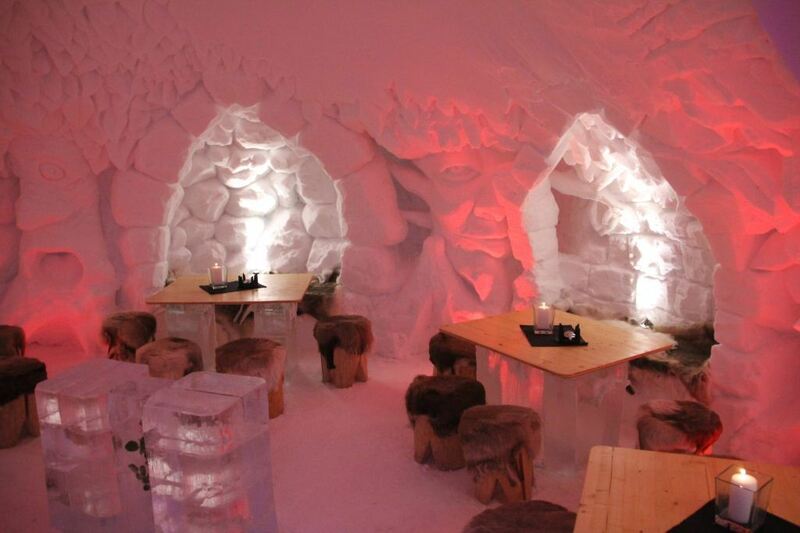 A bar made from pure ice catches the eye in the igloo site. Anyone can visit the lodge while the cable car is open but for a totally unique experience, you should come and stay overnight. Guests can choose between a standard igloo (sleeps 4) or a romantic igloo (sleeps 2). 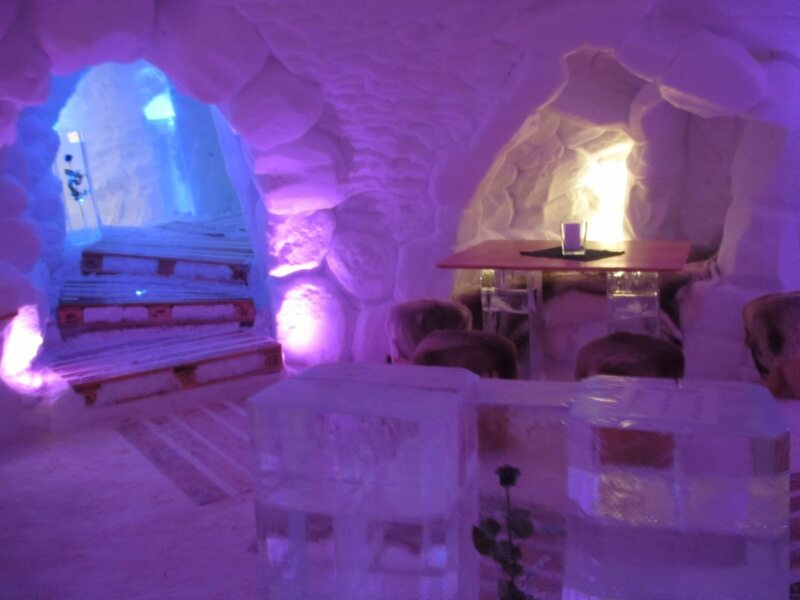 An igloo suite is also available for very special occasions. After the sun has set, the guests are served the famous Allgäu cheese fondue. The next morning, breakfast is served in the nearby Höfatsblick summit station. Fun and action for all The NTC Park by the Seealpe station on the Nebelhorn offers fun and action for all, bringing you winter sports in a very simple and entertaining manner. Pay the admission and spend a fun and exciting day on an array of different sports equipment. 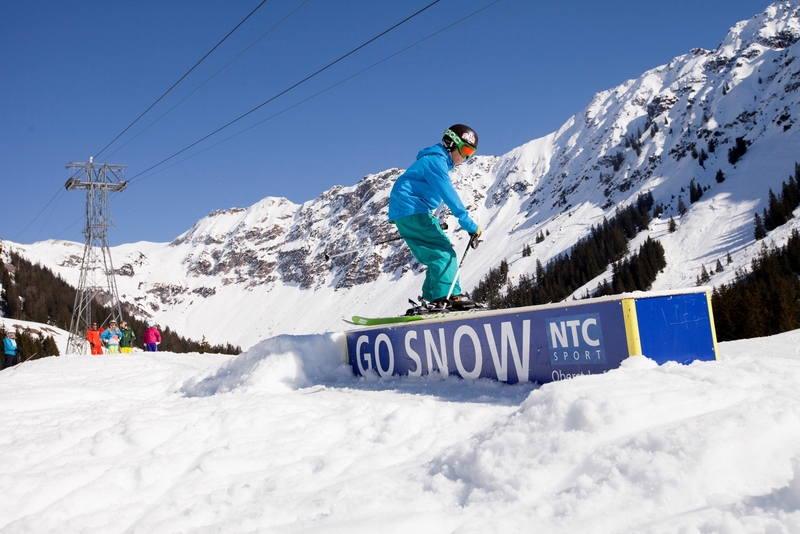 All of the recreational sports in the NTC Park by the Seealpe station are quick and easy to learn and great fun. 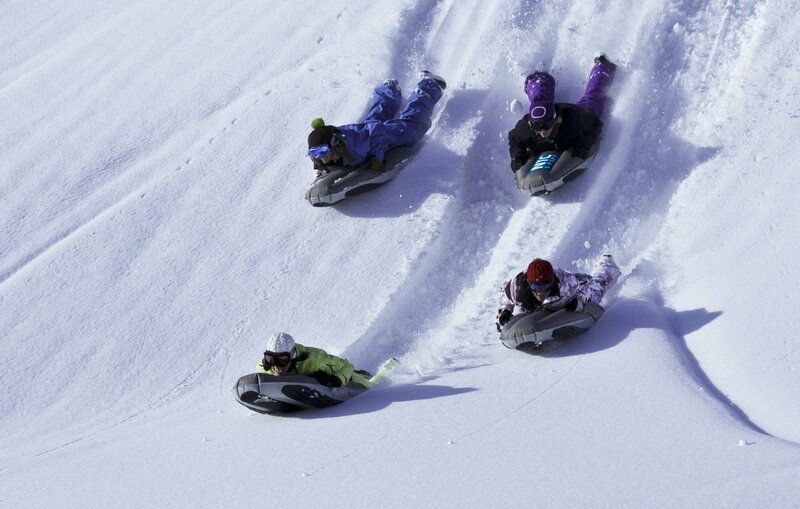 Whether on the tubing track, a snowbike, a skifox or an airboard, pure winter fun is guaranteed. 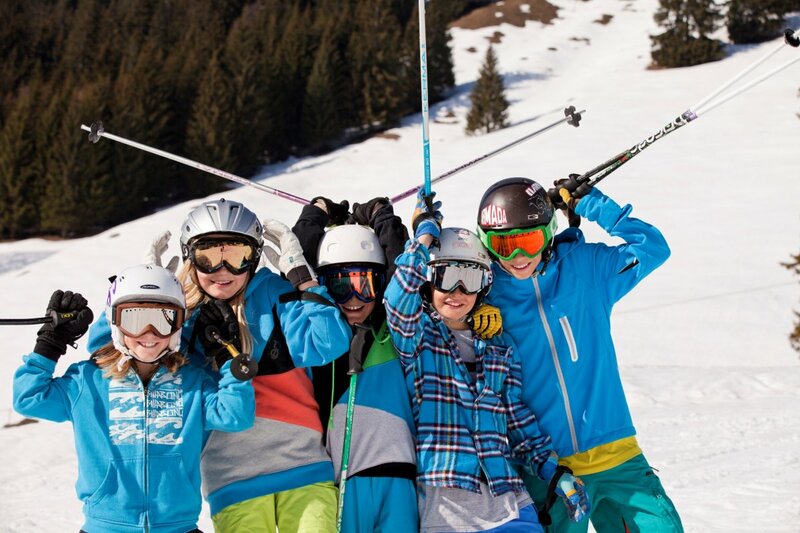 There is also plenty for kids to do on the Nebelhorn. In addition to the activities in the NTC Park, they are also awaited by exciting and diverse themed descents, such as the forest adventure track. particularly ideal for children and infants. 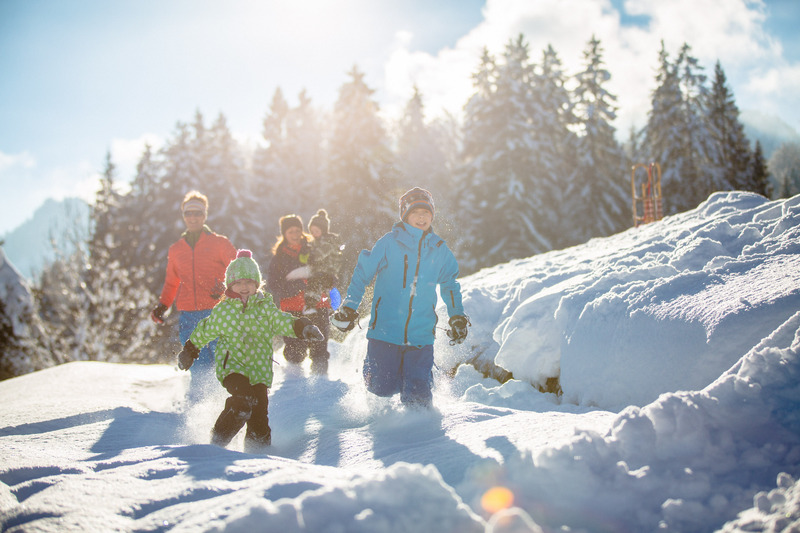 With sun terraces and eateries overlooking the slopes, parents can relax too! Tickets can be purchased directly from the “driver”. Group, family and special rides, such as night-time rides or rides to Gerstruben, can be booked on request. Excursions are also offered in the Tiefenbach area and to the Rohrmoostal Valley. 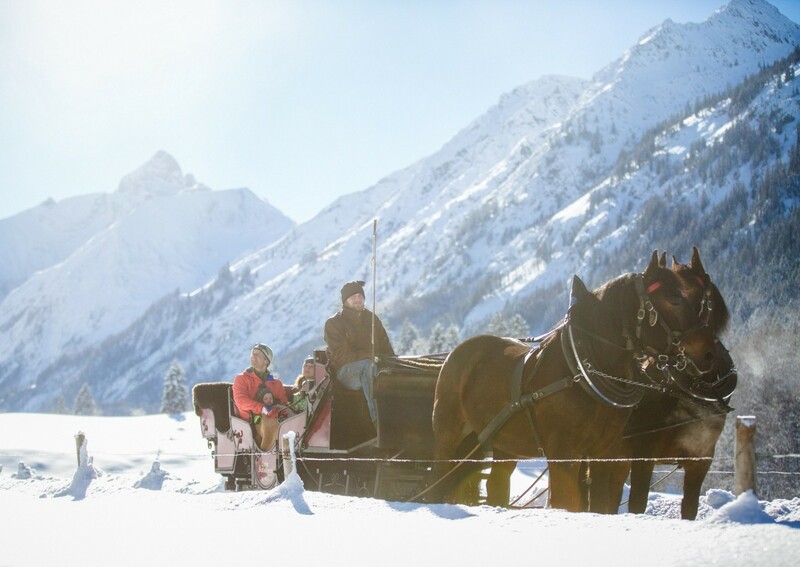 If interested, please contact the carriage-driving company in Tiefenbach directly. Rides also start from the Oberstdorfer Käsladen cheese shop, from where you can obtain tickets and information directly. Departure time: in winter, approx. 10.30 a.m.
(meeting place: Megèver Platz by the Kurpark). Return: arrival back to Oberstdorf approx. 3 p.m. Bookings are not generally necessary but are highly recommended in peak season. holiday experience. 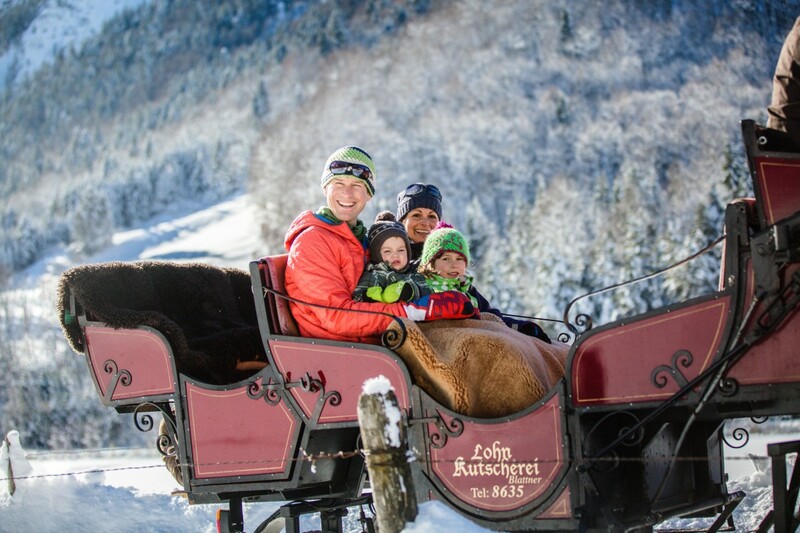 Subject to demand, rides (always in the form of return journeys) are offered seven days a week for a minimum of six and maximum of eleven people per sleigh. Airboarding is one of the fastest and most spectacular ways of boarding down a ski slope.Airboarding involves flying down the slope head first. 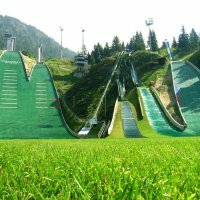 You’ll soon fall head over heels with this sport! snowscooter is the perfect choice. Simply sit on the device as though on a bike with footboards. Exhilarating fun is guaranteed. After just a few goes, even complete novices will get the hang of the equipment. The ideal solution for a fun-packed afternoon with family or friends. 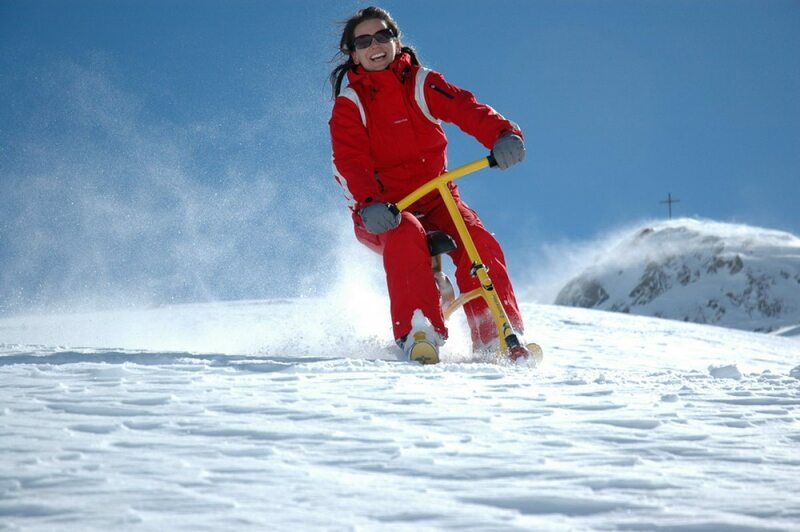 The trendy sports device invented in Austria offers fantastic fun in the snow after very little practice while also giving your back, upper body, stomach and legs a great work-out. Thanks to the low centre of gravity, the risk of falling is far lower than with alpine skiing. As the rider is not attached to the bike, there are no leverage forces like those when skiing or snowboarding. This makes these sports kind on the joints and low risk in terms of injury – and therefore also ideal for sporty people of a more advanced age.